New Memphis forward Lance Stephenson has been trying to make a good impression with his new team since being acquired by the Grizzlies in a deal with the Clippers of Feb. 18. But maybe he’s trying too hard. 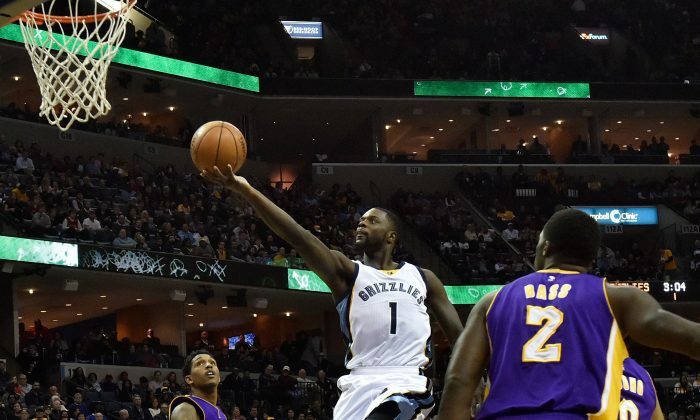 Fortunately, Stephenson and the Grizzlies held on for a 128–119 win. Stephenson, in just his second game with Memphis scored eight points in 23 minutes of play. How much of an impact he has with the Grizzlies is yet to be seen, but when he plays in the right system he’s actually a good player. The former Cincinnati Bearcat was Indiana’s second-round pick (40th overall) in the 2010 NBA Draft. After coming off the bench his first two seasons, he cracked the starting lineup in the 2012–13 season. The next year, he had his best year ever averaging 13.8 points, 7.2 rebounds, and 4.6 assists per game, while shooting 49 percent from the floor. He was instrumental in leading the Pacers to the conference finals in both 2013 and 2014, but the team fell to LeBron James and the Miami Heat both times. Following the 2014 season, the Charlotte Hornets outbid the Pacers for Stephenson’s services and signed the 6-foot-5-inch forward to a three-year deal worth $27.4 million. But halfway through the deal, Stephenson has already been traded twice while averaging just 6.9 points per contest in 106 games, while making just 35 starts. Maybe he should limit his slapping to once instead of three times.